WIDE is happy to invite you to celebrate Girls in ICT day. 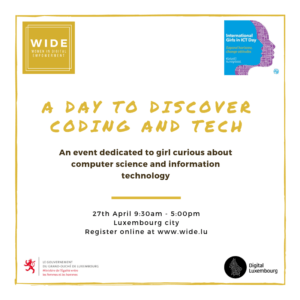 Event is open to girls from age 13 and to women 5 adults, it will focus on initiation to coding and talks on technology. From 9.30am till 12.30pm – lunch included! Both activities include a break.